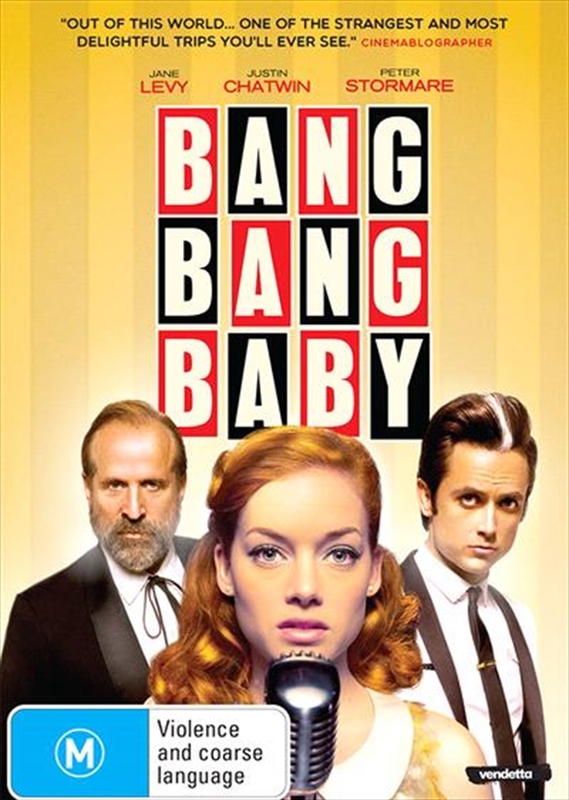 Bang Bang Baby is an otherworldly sci-fi musical about Stepphy (Jane Levy - DON'T BREATHE), who lives in a sleepy 1960's town with her alcoholic father. Stepphy dreams of escaping to a better life on the stage and screen, and when rock star Bobby Shore's car breaks down in Lonely Arms, it seems her dream might be coming true. But when Stepphy hears that the local chemical factory is leaking dangerous purple fumes that can cause spontaneous human mutations, she becomes obsessed with hiding these dark secrets from Bobby. The ugly reality of Stepphy's world increasingly encroaches on her fantasy of running away and becoming a star with Bobby - leading to an unavoidable clash.